A CBI official said that Michel turned aggressive when presented with documents that allegedly showed that he had got 2 million euros from AgustaWestland, which he transferred to other companies. 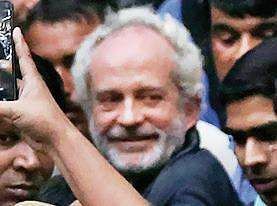 NEW DELHI: Christian Michel, the alleged middleman in the AgustaWestland chopper scam, who was deported from Dubai on Monday, suffered an anxiety attack immediately after reaching the Central Bureau of Investigation’s headquarters in the national capital, sources in the agency said. According to sources, Michel was questioned about the money trail after doctors tended to him. Sources said that Michel blamed another ,middleman Guido Haschke, when questioned about the alleged bribery notes in which former Congress President Sonia Gandhi was described as a driving force. Michel said he suffered from dyslexia and the notes were written by Haschke, sources said. After initial questioning, sources said, Michel was allowed to sleep for two hours between 4am and 6 am, after which he was provided breakfast. 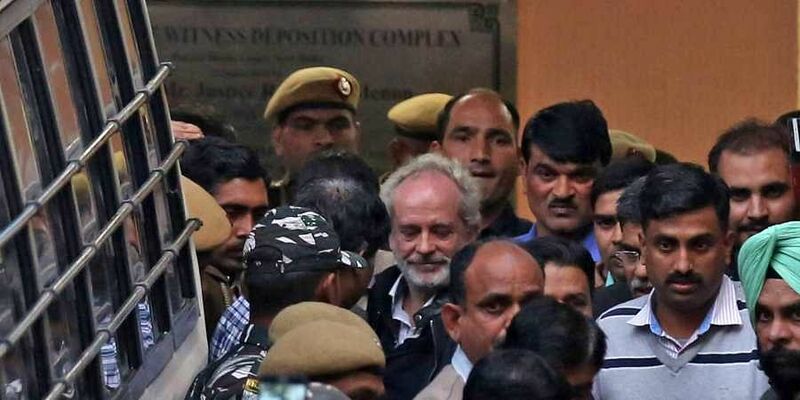 He was again questioned by officials of the Special Investigation Team of the CBI.Michel was produced in a special CBI court on Wednesday, which granted the investigation agency a five-day remand of the British national. Meanwhile, a CBI spokesperson confirmed that Michel’s questioning was on. “Questioning of Christian Michel regarding AgustaWestland is underway. The CBI has received consular access to Michel through the Ministry of External Affairs (MEA). His lawyer met him today (Thursday) in the CBI headquarters,” he said. The CBI wants to confront Michel with documents and confidential material which he allegedly sent to Italy by fax.